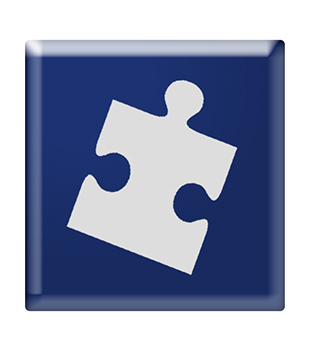 Puzzle DISC is a behavioural style assessment that is used in many situations where people’s differences are important, such as in group development, leadership development, sales development, communication and as a support tool for recruitment. 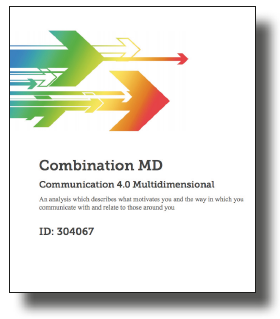 New report Puzzle DISC Multidimensional! We are proud to present our new report Puzzle DISC Multidimensional, which offers even more detailed, accurate and dynamic descriptions of the different behavioural styles. Ensize is one of the many companies in the world that have researched and developed a DISC assessment based on William Moulton Marston´s theories. Puzzle DISC is a model for understanding and describing human behaviour. It is important to emphasise that it is NOT a test. It is a self-evaluating assessment. The DISC does not measure personality. It is an instrument that describes how people are likely to behave as they respond to their environment and it provides valuable insights both to own behaviour and how others behave. The assessment is useful in many different contexts. We can find the communication styles and patterns of behaviour described in DISC worldwide. The DISC language is not culture-bound and has no gender boundaries. We can find men and women who are systematic, formal and restrained as well as both men and women who can be dominant, proactive and outgoing. All that we learn about DISC is clear, visible and observable. It specifies only visible behaviours. It is what we can see with the eye that is described, not our personality, or who we are, but only how we behave. The DISC language is used to express different actions and behaviour styles while creating a conscious ability to change and adapt our communication patterns in different situations when we believe it is important to clarify our communication. As we develop insights and implications of the various DISC descriptions, we make our studies in the silent world, which is often called non-verbal cues or in a rather sloppy way “body language“. “What you see”, then according to all research is the most important thing regarding how people express themselves and how they perceive others. If you learn to understand the DISC language you will gain a greater understanding of how your behaviour interacts with others. It’s not about categorising or putting people in a special compartment, nor is it about putting labels on others or yourself. It’s about creating the conditions to understand and converse with each other more effectively. In DISC there is no right or wrong behaviour. There are only different expressions and different combinations of human behaviour. Many associations to colours are universal. Colours are something that is all around us without us thinking about them. Yet, colours affect us. You can say that colour is nature’s own powerful signal system–the universal, non-verbal language. Therefore we use colours to easier describe different behaviour styles. 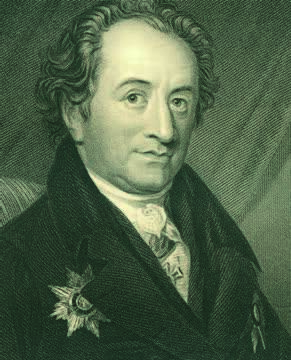 The colours we use are based on Johann Wolfgang von Goethe's “colour theory”. The Colour Language Puzzle DISC is therefore a language intuitively understood by most. 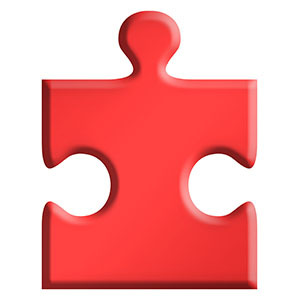 The Puzzle DISC factor D - Dominance has the colour Red and is symbolised by a RED puzzle piece, factor I - Influence is Yellow and is symbolised by a YELLOW puzzle piece, S - Stability is Green and consequently has a GREEN puzzle piece. Finally, C - Conformity, is Blue and is represented using a BLUE puzzle piece. People with a lot of red in their profile are by nature somewhat suspicious and do not necessarily trust other people. They are often good at solving problems and are not afraid to take on challenges. They are often perceived as demanding, driving, aggressive, strong, obstinate and pioneering. People with only a little red in their profile, on the other hand, are more reserved and unobtrusive. They like to have more time and information before deciding on a solution. They can be described as conservative, cooperative, cautious, unpretentious and peaceable. People with a lot of yellow in their profile have a tendency to believe that their surroundings are good. They are skilled communicators and influence others with their enthusiasm and good verbal abilities. They can be described as persuasive, inspiring, optimistic, social and reliable. 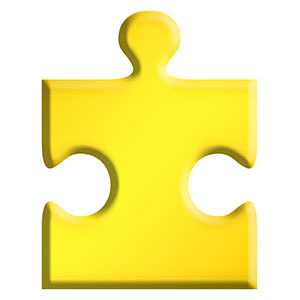 People with little yellow in their profile prefer, on the other hand, to influence others with facts and not with feelings. They can be described as meditative, reserved, sceptical, pessimistic and critical. People with a lot of green in their profile appreciate security and friendly relationships and like to work in a team. They like to work at a calm pace and prefer to avoid unplanned changes. They can be described as calm, loyal, relaxed, patient and persevering. People with little green in their profile enjoy variation, life and movement. They are open to new things and changes. They are often perceived as being spontaneous, impatient, restless, and eager. People with a lot of blue in their profile are aware of rules and regulations. They are quality conscious and like to do the right thing from the outset. They can be described as cautious, painstaking, alert and quality-conscious. People with little blue in their profile see rules more as guidelines which it is sometimes necessary to deviate from. They can be described as independent, headstrong, unconventional and provocative. Our individual communication styles include all colours in different strengths and combinations. That’s what determines our personal communication style. It is a widely-used assessment that describes basic and adapted behaviour. It is also possible to add the Driving Forces in the same assessment and combine them to get a more dynamic description/report. The respondent will receive a personal link from the EDOC system to answer the questionnaire. The DISC questionnaire contains 28 groups with four adjectives, from which the respondent chooses the description that fits him/her best and least. The assessment is ipsative and self-assessing. The input/answers will affect the results in the final report. After finishing the questionnaire, the system will generate a personal DISC report. All reports are dynamic, i.e. each person receives an individual description of their communication style. As well as individual reports, group reports can also be created using an existing team or before setting up new teams. Each individual can be placed in a matrix, where the features of the four DISC factors determine the position. The group report provides answers to what the balance is like between different behavioural styles, which qualities are missing and the possible difficulties in cooperating that might exist. In combination with the Team Evaluator tool, this provides a powerful analysis of a team or a work group. In group and team development, Puzzle DISC shows which qualities are overrepresented or underrepresented in the group or team, and can illustrate any tensions that may arise in the relationships between different team members. In leadership development, Puzzle DISC can for example provide excellent data for personal coaching. In a sales context, knowledge of different communication styles leads to better dialogue between the salesperson and the customer. 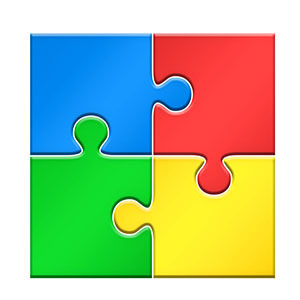 In a recruitment context, Puzzle DISC can provide answers to many of the "soft" qualities asked for in job adverts.